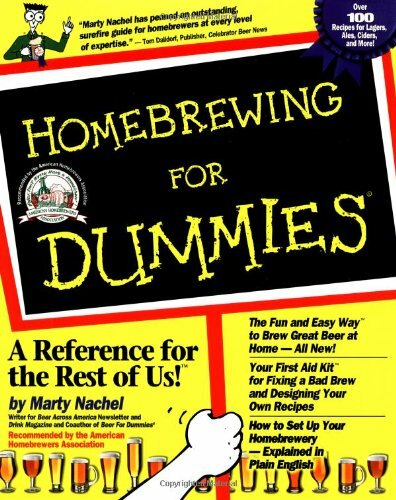 Home Brew Beer: Spreading the joy of homebrewing - hops shortage be damned! Spreading the joy of homebrewing - hops shortage be damned! For the most part, I've brewed alone. No big groups of guys huddling around the boiling pot drinking and joking it up. I envy guys like this. The life of a solo home brewer is a lonely one. Oh sure, one of my buddies would occasionally come over and help out a little, but more out of courtesy and an excuse to hang out and have a few beers. While there was an appreciation for the end product, there was no real love of the hobby from those friends. But my buddy Dave G. has been hinting around about a growing interest in home brewing over the past 6 months, and finally decided to take the plunge. The idea started off with a deal, he'd help me fix up the dry wall in future son's bedroom, and I'd teach him how to brew up a batch of beer. A few weeks later, the baby's room is looking pretty good, and there's a 5 gallon batch of IPA bottle conditioning in my basement. All is right in the universe! YES HIS FIRST HOMEBREW WAS AN IPA! HOP SHORTAGE BE DAMNED! Insert screw B in to washer A while turning nut C, blah blah blah... Got any more beer? Meh! Slapping together something with this many BTUs can't really be all that hard. I mean, it's not like it's going to burn down my house or anything! As a bonus, my friend and former room mate from my college days, Kenn, came by to hang out and have a few beers with us. He even brought a tasty bottle of Cisco's Whale's Tale English Pale Ale with him, which I drank later in the week. Good stuff, review coming soon! THANKS KENN! Kenn, as an English teacher can you tell me if it's "foul" or "fowl"? I let Dave do most of the work, I figured he'd learn more by doing and that it would be a nice change of pace just to hang out and give instruction, take a few pictures, and enjoy a few home brews. Which reminds me, we were slinging back a few bottles of the Witbier I made for my last batch. It was dual purpose. Nothing better than enjoying home brew while making homebrew, that and I needed the empty bottles for this batch. 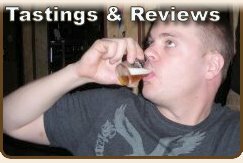 Note on the Witbier: I never really did post a blog entry about the results of the Witbier, overall, pretty darn good! The only issue I had with that batch was the faulty flip top seals. I had my fair share of flat beers, but when they were good, they were really good! I made sure to get new seals for this batch, all should be well! Dave pours the water into the pot and fires up "Ol' Bessy" for her maiden voyage. 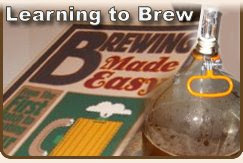 Homebrewing is so easy, even this guy can do it! He's a natural! Careful Dave, you know what they say about hot water! Teaching someone how to homebrew is lot of fun. And I can honestly say, brewing with at least one more person is much more enjoyable than going at it alone. If you have someone that would like to learn, I highly recommend teaching them. You might just develop yourself a brew buddy. Dave tries to cram two cheese cloth bags worth of grain into one bag. That's my bad, I didn't notice the second bag until later... Oops! As the wort boiled, the guys and I joined my wife in the backyard by the fire pit and talked about a variety of topics: Beer, politics, my wife's pregnancy, beer, etc. It was a very nice and relaxing evening for all. Good times! At any rate, Dave's first go at home brewing was a blast for all of us. It was fun to kick back a little take a back seat, let someone else "drive" for a change. I really enjoyed sharing my hobby, and some quality time with good friends and family is always a good time. Dave liked it so much, he kicked off the training wheels and brewed his own batch of beer at his place a couple of days later. He even went out to Home Depot and purchased the parts to build his own wort chiller. Man this guy is good! Looks like I'll be learning from him as much as he'll be learning from me. Both batches are now bottle conditioning, and we plan on getting together and sharing our combined efforts with a bunch of friends. 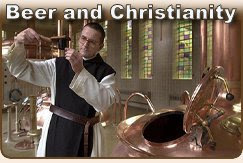 Who knows, maybe we'll convert a few more folks to the ways of home brewing. Stay tuned for the results of our post brew taste off in a few weeks! Now you've done it. As soon as I get back from vacation I'm gonna brew go out and buy everything for my first homebrew batch in 10 years! I went out and bought a couple books today. Expect my 1st brew by August. Awesome! Glad I could influence you... What kind of beer will you brew? Great post. Can't wait for the tasting notes. Keep us up to date on the baby too! My initial tasting results here... More to follow on this batch and Dave's solo batch soon!